JOBSOG is an international job consultancy that indulges a wide range of services to those enthusiasts to settle abroad. Having a firm foundation in the area of international job search, JOBSOG has clients almost in all parts of the country including gulf nations. We provide several resume based services so as to magnify your liability in finding a right opportunity. We have experts who help in idealizing your resume. We focus on resume development which gives a professional approach to the recruiters to any country because every country has its own resume format; our team decides the format that best suits your resume in your preferred country. Apart from resume optimization, we even provide a separate case officer for each of the resume wherein you can directly interact with the case officer either one-on-one. The case officer would pay close attention and attend to all your requirements, and forward your data for international marketing. Our premium paid services which include Customizing your profile that elevates your chances of getting good opportunities. Providing suitable candidates to employers in Singapore, Australia, Ireland, Britain, USA and Canada as we accentuate on the individual client need, the success rate is high at JOBSOG compared to other similar services providers. We are the elite service providers in this industry. Re-designing the resume in preferred country format makes the recruiters feel eye catching and professional. · One on one communication with your case officer. 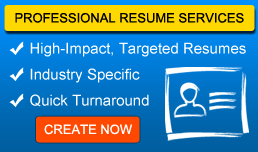 Marketing your optimized resume with vast number of recruiters, that create opportunities. · Customized marketing of resume. · Spider webbing of resume. Contact us at 040 – 65080044 / 46 / 47 Email us at [email protected] to know more about our services.